Is it wrong to make something look one way, but taste another way? 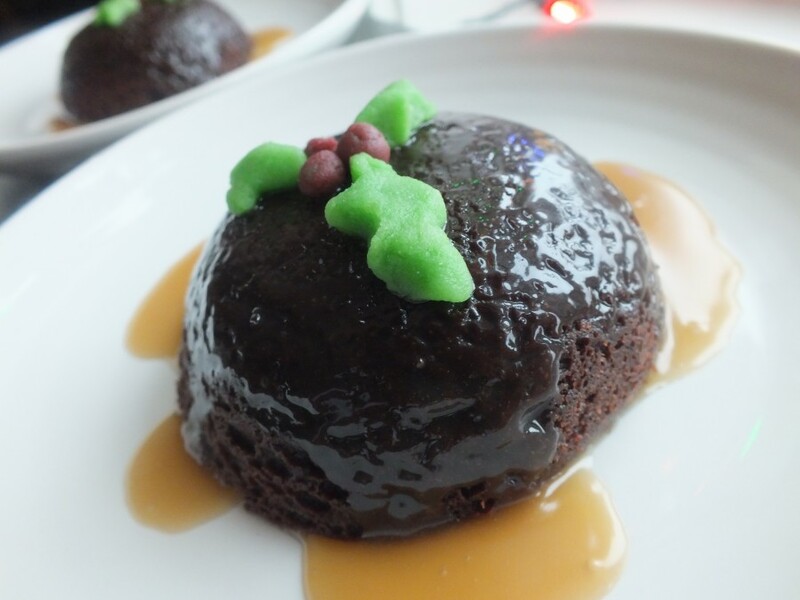 I came across this recipe while searching online for figgy pudding. I don’t know exactly what figgy pudding is supposed to look like, but doesn’t this look like it could be a steamed pudding with figs in it? I thought so. I didn’t want the white sauce, so I used something that is like a caramel sauce, but not a true caramel. Fill each cup of the prepared pans 3/4 full. Bake for 15-18 minutes, or until a toothpick inserted in the center comes out clean. Transfer to a wire cooling rack. Can be served warm, or room temperature. In a large heavy-bottom saucepan, combine the cream, butter, brown sugar and maple syrup. Bring to a boil over high heat, whisking frequently. Once the mixture comes to a boil, remove from heat. Blend the mixture with a whisk or handheld mixer until thickened and emulsified. Alternatively, you can use a standard blender to blend it in batches, but be careful because the mixture is hot! This makes 2 cups sauce. Level tops of cupcakes, if domed. Turn upside down and place in saucer and spoon cooled topping in the middle of each cupcake. Add optional marzipan holly. This entry was posted in baked goods, cakes, christmas, dessert and tagged baked goods, baking, chocolate cake, chocolate cupcakes, Christmas, cupcakes, dessert, Pudding. Bookmark the permalink.